These guys actually have gotten this idea and blueprints for this setup from Yoichi Imamura. I found where I saw that set up. Watch since 7 minute. That car also has an engine swap, widebody kit, gutted interior, and who knows what else. @philstar was looking for something a bit more amateur-grade. I imagine transplanting a power steering rack would be very expensive and invasive, requiring you to move a lot of stuff out of the way to make room. Of course anything is possible with enough $$. Mind if I ask why you want to swap it out? I have no complaints with the electronic steering. The complain is steering feedback and ability to move steering wheel while transition (with hydraulic power steering system front wheels change directions and rotate steering wheel if you leave it of course) with electric system (our case) we have electric motor and this motor doesn't allow to rotate steering wheel w/o hands. That makes sense, I knew it had to do with our rack being electronic but didn't know much more. But yes, steering feels pretty dead and i don't feel connected to the car especially on transfers compared to when I drive other cars. I manage but its definitely something I want to look into in the future. I have struggled with the above problem a bit too. At Grissom AFB (which is super fun and I hope Drift Indy gets some days there next season too) The second transition felt like i was just along for the ride. No matter what i did steering wise, the car just had its own idea of what it wanted to do. The only thing that seemed to give me any more control was grabbing some hand brake until it felt like the car was settling in. Then dump clutch in 3rd and continue with the rest of the course. if you think it's bad drifting.. try having the car get all wonky when your dong 90-100 on Gingerman's back portion, in the wet. I still have mud and grassed caked into places only a power washer will get out. Need help with choosing correct spacers for stock wheels. 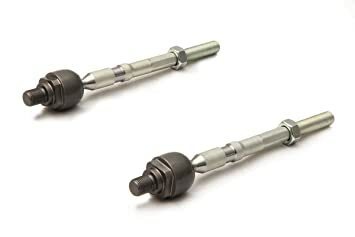 Recently bought Megan Racing Rack Ends Inner Tie Rods, think about 20mm or 25mm. Don't want to move wheels too out of and use different sizes for Front/Rear. Worry about 20mm, is that enough to prevent rubbing in max lock? Also what do you guys think about brands? What REAL difference between eBay Hubcentric spacers made 6061 T6 Forged Aluminum for only $125 (4 spacers) and 2/3 times more expensive eibach, H&R or ICHIBA V2 etc.? I raised the car a bit, added 15mm spacer. (so now 17x9+20) Now I don't rub and prolly have a tad bit more angle. Yes sir! Thanks for your answer. Also, what do you think will be with et25 (10mm spacers)? So how many here have an Angle kit from PBM or Drift Knuckles? I'm looking at getting an angle kit for next year. As of right now my FRS is still pretty much a daily driver, however that may change come the end of this winter. However keeping in mind this may still need to be a compliant car on the road, im leaning more towards the drift knuckles setup right now. It's not a crazy amount of angle, but its plenty more than what we have stock and I'd imagine it would not be as noticeable on the street. The PBM Kit has a crazy amount of angle, but I'm worried it would be garbage to try and drive on the street. Just looking for those with experience with either kit and maybe even still DD their car. A couple pics from my last event of the year. First time ever out with another car. I'd just get the drift knuckles setup or just get tie rods. Either way, you'll be left with the same amount, since you're limited by other aspects of the suspension. MAX is cool, but expensive, and it's overkill for stock power levels anyways. You won't even really be able to keep up the wheel speed to utilize the kit at higher speed. You'd really just have the benefit of extra lock if you screw up. I say tie rods. $80. Buy two sets, just in case you ever snap one at an event. Gives plenty of angle for lower power levels. PSM and even Wisefab can easily be driven on the street. While I was just going to go with tie rods. I feel like i will still be craving a bit more from it. The knuckles seem to give quite a good ammount of angle. A bit more than an S13 but not crazy like a PSM/Wisefab. Have made the group into a public page so a lot of the people who just want to follow others can do so. There is still a closed group for private chat among actual drifters. If you want to apply to join that, you'll have to PM me. link not working? is it closed? ive been running 30 in the front and 50 in the rear for 2 seasons now with great response! any opinions on this?